Boundaries, once set, are important to keep. Set boundaries according to what you are willing to live with and what you can accept. 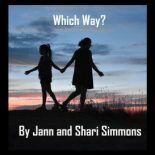 Create options for your teen that you can accept and are willing to abide by. Let your teen make a choice. These guidelines are important for both the teen and the parent.